“Do you think those are God’s tears?” One of my riding partners just ahead of me on the Blackhawk Trail is asking rhetorically. “Nah, must be Joseph Smith’s,” came the reply to group laughter. 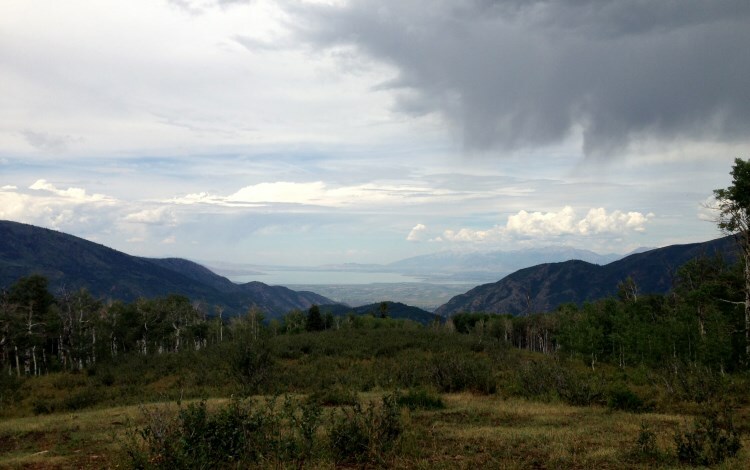 We’re only eight miles into a bike ride none of us have done, the Blackhawk Trail, in Utah County as it begins to rain. It’s also a Sunday, meaning most residents of this area are at Church – and not biking this remote trail. We have all 19 miles to ourselves. Perched high on the Mt. 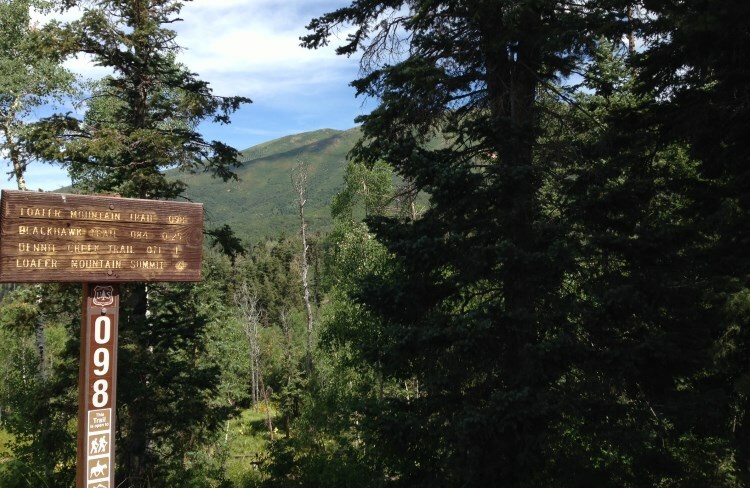 Nebo Loop Road, the trailhead for the ride begins at 8,000 feet. Oxygen, anyone? 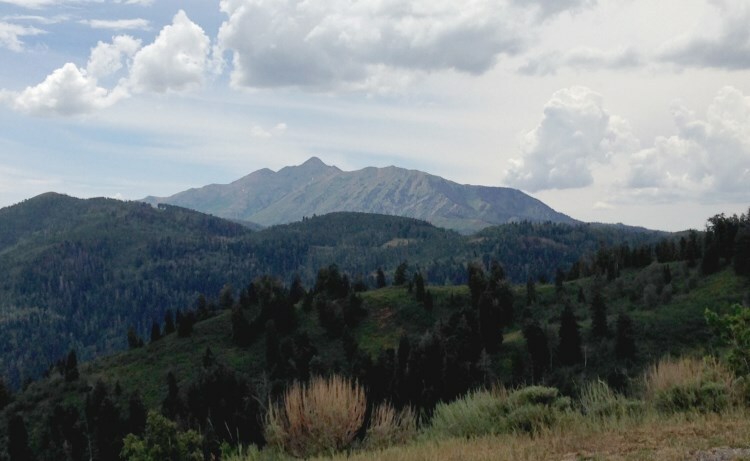 We’ve chosen this ride for our group of seven SLC locals to remove ourselves from the comfort and familiarity of the local Park City and Salt Lake trails we’ve each come to know too well. The last time any of us were in Utah County it was likely driving through on our way to go biking in Moab or St. George. Or gambling in Vegas, of course. Needless to say, none of us had been on this particular ride previous to today. 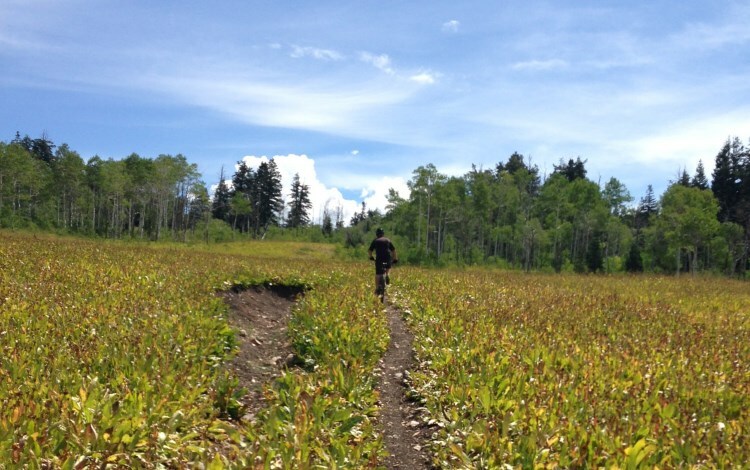 Routefinding, or a lack thereof, and winding up on the wrong trail is all a part of mountain biking and why we ride in the first place: freedom and exploration. The first climb is about 700 or 800 feet in the first few miles and gets the legs and lungs going on the way to the Blackhawk Campground. The wildflower peak just barely passed (we rode in early August), but there is plenty of green and bright color left as your pedals brush past. Same for the 8 foot tall thistle plants to whack your arms and face. After consulting the map for the umpteeth time, we’re on our way through another meadow with seemingly 100-mile views towards Mt. Nebo and the surrounding environs. We have only seen four other people in the first hour – two on horseback and two fellow bikers headed the other direction. We collectively wonder who is heading the wrong way. 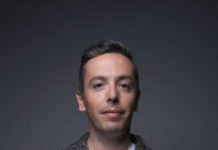 It is likely us. No more Joseph Smith jokes are made once past the campground where things begin to get primitive. 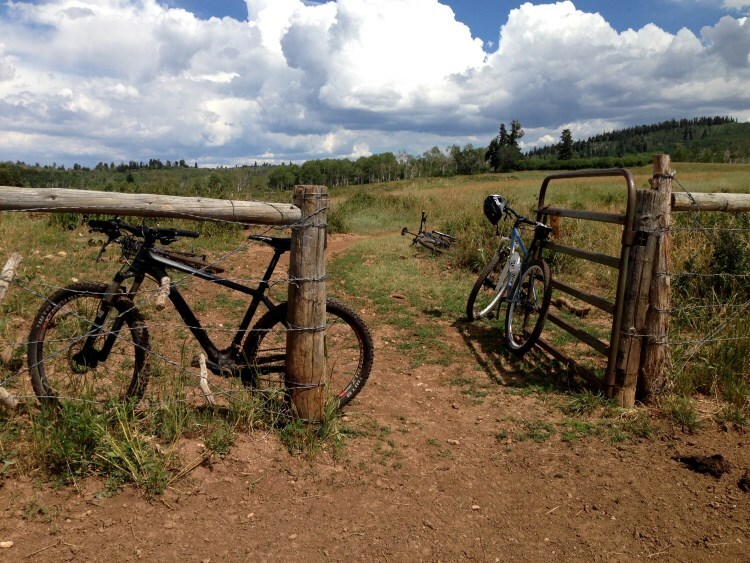 Sections of the trail seem better suited to horseback with muddy bogs, while others are geared towards motorized dirt bikes – most of us are pushing our bikes up steep, loose hillsides. Other sections, however, are high-speed race courses on buffed tread thanks to the impromptu rain (or tears, depending on your personal outlook). Miles of cruising at top speed are a worthy withdrawal earned by the deposit of grueling climbs, loose rock and wrong turns. Several more miles of climbing drop us off at the top of the pavement on the Mt. Nebo Loop Road. A quick descent to a dirt road road littered with shady campsites (mental note to return in the autumn) offers more exploration on the next segment of singletrack, aptly named Rock Springs Trail. There were rocks of all sizes and shapes, as well as springs, usually in the form of mud at the bottom of washes. We are all thoroughly covered in mud, as are our bikes, primarily in the important areas to keep clean: chains, cranks, derailleurs. You get the idea. More fun awaits on the final leg of our journey, the Jones Ranch Trail. Ranch is an accurate descriptor, as we are now sharing the trail with a herd of cattle. Future Big Macs and Double Quarter Pounders either ignore us or choose to race us, which adds another layer of manure to our bodies and bikes. I will thoroughly enjoy the next burger I eat, thinking of it’s distant cousins we have just encountered. Once we’re out of the pasture, the trail again turns wide, smooth and fast. We hoot and holler the final mile to the road, where our cars await just a short pedal uphill. A final shot of adrenaline ensures our lasting memories of the ride are of euphoria and not the sweat and toil. “Mission accomplished” was a unanimous feeling as we cracked celebratory beers back at the cars, along with the fact it was likely no one else was drinking a barley-pop for dozens of miles. The change of pace this loop delivered from our usual MO of rides close to home, detailed maps and accurate trail signage every quarter-mile was incredibly refreshing. 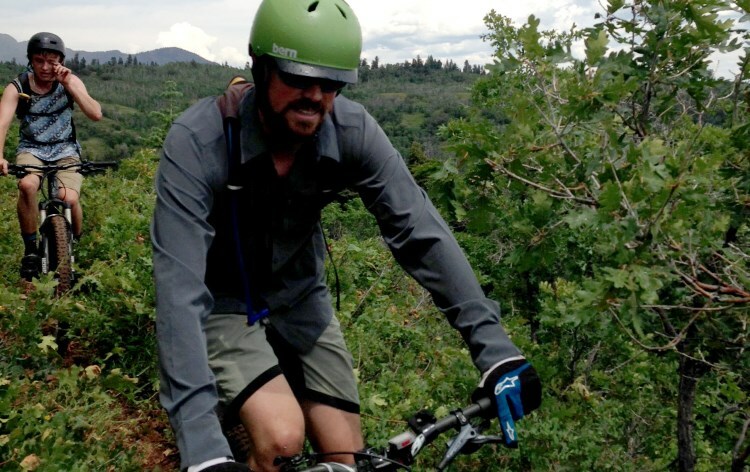 This is mountain biking off the beaten path, where you simply cannot make the next turn downhill and magically wind up in Park City or downtown Salt Lake. I plan to return in the autumn, when the maples and aspens turn golden and crimson with fall colors – who wants to join?